Data journey is a tool aiding the identification of high costs and risks of new IT developments where data is moved in an existing network of systems, people, and organisations. Aims to assist the decision making process of whether is worth implementing new functionality on an existing network of data. Why use a data journey? Data journeys can identify both technical and social factors affecting the failure of an IT system. Examples are the movement of data between incompatible, heterogeneous databases, inconsistent types of data sources, lack of trust of the sources by the end users, staff resistance to adopt the new system, wrong interpretation of the data at the new context and many more. Creating a data journey is a sufficiently lightweight process so that it can be used as a decision-making aid in the early stages of a development project. Data journeys can identify high costs of data movement both within and between organisations. How to use the data journey model. 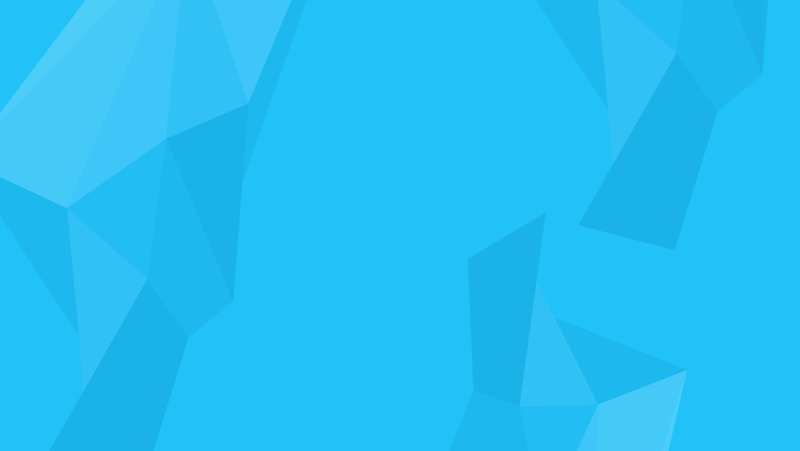 Abstract: Information sharing is a vital element of a successful business. However, technological, organisational and human challenges obstruct the effective movement of data. In this paper, we analyse a collection of case studies from healthcare describing failing information systems developments. A set of 32 failing factors were extracted showing that data movement, either between systems, people or organisations, is a key indicator of IT failure. From this examination, we derived antipatterns for data movement in which some key differences between the source and target location of the movement caused high costs to the developments. Finally, we propose data journey modelling as a lightweight technique that captures the movement of data through complex networks of people and systems, with the aim of improving go/no-go decision making for new IT developments, based on the anti-patterns we have identified. 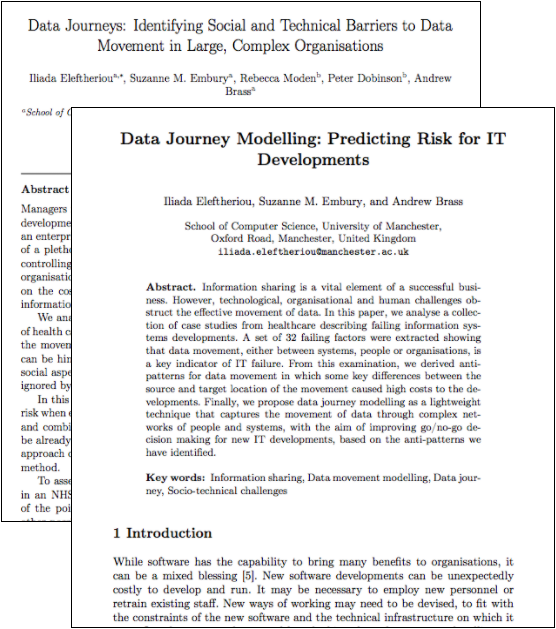 Reference: Iliada Eleftheriou, Suzanne Embury, and Andrew Brass (2016): "Data Journey Modelling: Predicting Risk in IT Developments" IFIP Working Conference on The Practice of Enterprise Modeling. Springer International Publishing, 2016. © Copyright 2016 by University of Manchester.